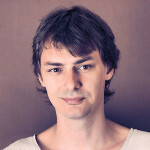 How to correctly output different content-types using the PHP header function. 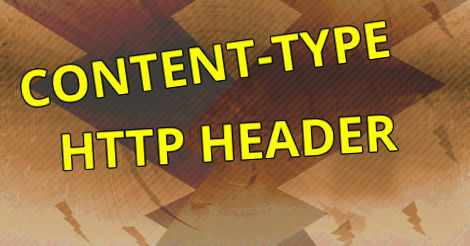 Adding the right Content-Type header is important for PHP applications to function properly. Yet, surprisingly many still do not add the correct character encoding for the type of content they wish to deliver. In some cases, people even choose to replace certain characters with HTML encoded alternatives, rather than learn how to properly pick and implement an appropriate character encoding. In todays globalized world, supporting multiple languages from the beginning of new projects is generally a good practice. It can be hard to know, when you might need to support special characters. For example, to support Danish letters (Æ, Ø, and Å, you can use UTF-8 in the Content-Type header field. You may also need to configure your database to use UTF8, but I will try to cover the topic of character encodings in another article. text/html For .html pages (Note. Extensions are optional on the web). text/plain Plain text files. If HTML pages are delivered with this, the HTML-source will be shown, without syntax-highlighting. image/jpeg JPEG images. It is possible to output images with PHP as well. image/png PNG images. You can also output PNG images in PHP. video/mp4 Video format. Useful for streaming. text/css CSS files. Used to control the styling of web pages. application/pdf Used to deliver .pdf files. Yes! You may also create .pdf's in PHP! It is important you choose the correct mime-type in order for a browser to know how to display the content. PHP does not just deliver HTML and text pages, it can also show images and video! The character encoding specified in the HTTP header (iso-8859-1) is different from the value in the element (utf-8). The solution to this problem is to always make sure both your meta, and HTTP header Content-Type match. Your CMS should automatically do this for you, but sometimes it may be bugged, or the server might not be configured correctly. Shared hosting solutions can be very bad. It is probably best to host a server on your own, either using a cloud service provider, or on a physical server you own yourself.